As a newbie in network marketing, your upline or sponsor will tell you to list out names based upon who you know or who knows you. This includes family, friends, acquaintances, associates and business contacts…. Just about everyone you know or know of…. At the long run, do all these counts? You already know the answer! Network marketing is about relationships. It is people’s business. 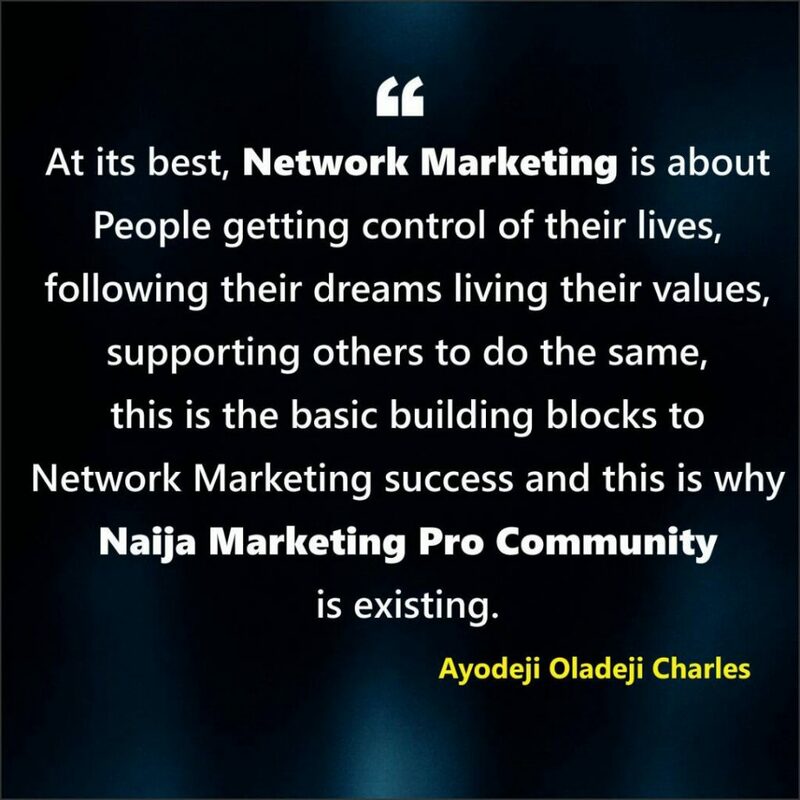 At its best, network marketing is about people getting control of their lives, following their dreams, living their values, supporting others to do the same, this is the basic building blocks to network marketing success and this is why Naija Marketing Pro Community is existing. 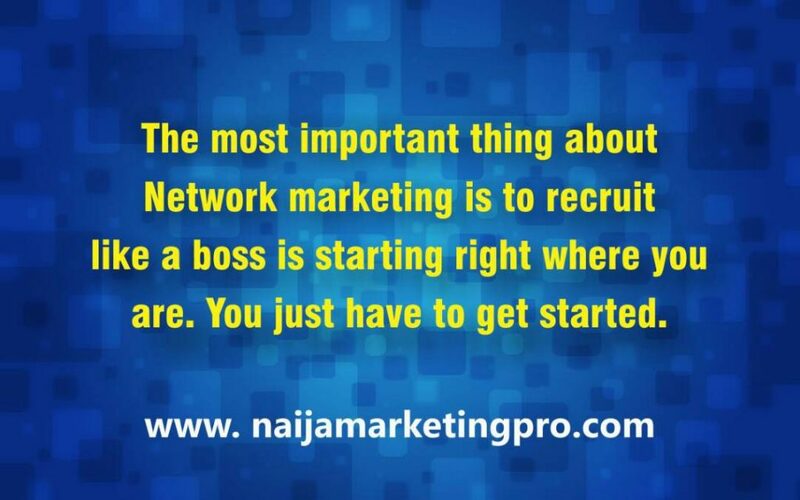 In today’s blog post, I want to share with you, the secrets to how to recruit like a boss in network marketing. 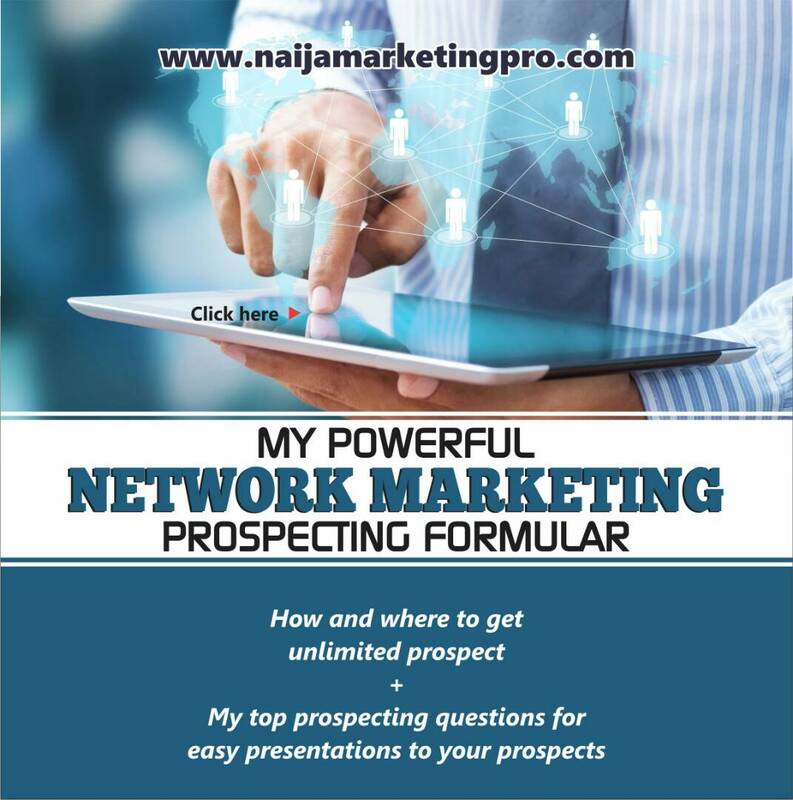 Understanding these secrets will give you a leverage to achieve your success fast in network marketing but remember that, self development doesn’t work but action, so you need to put them into action before the expected results can be achieved. 1. Understand network marketing: Network marketing is simply the vehicle to live a life of choice. 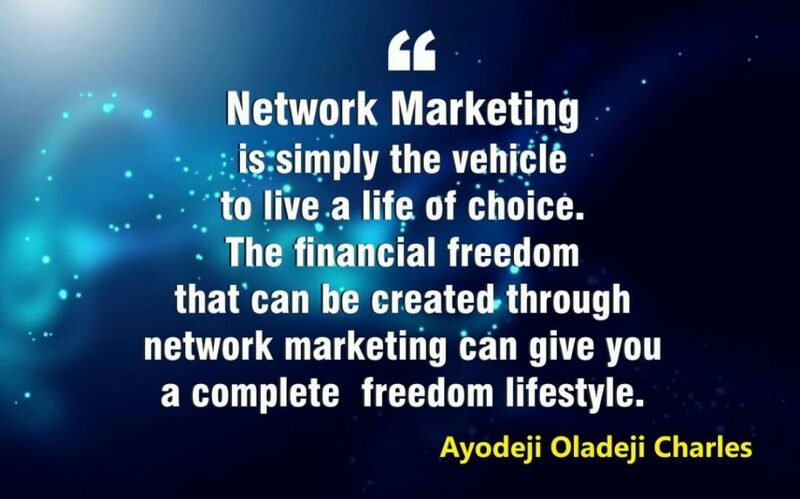 The financial freedom that can be created through network marketing can give you a complete freedom lifestyle. This industry will help you build your own values, and dreams and you will, also, on a consistent basis have fun doing it. 2. Creativity and Responsibility: The essence of networking is creativity. It is about designing your ideal life. First to choose how you want to live your life then, make them happen and this is where responsibility comes in, you choose deliberately your own actions, you respond to situations and to deal with such situations from the point of view that you are both the architect and builder of who you are, what you do and what you have. It means knowing that everything and everyone that shows up around you, it’s your making. You created it all. 3. Start now: Having taken into the understanding of the two points (1&2) above, now, the next thing to do is to start immediately and the only place to start is where you are. Start to recruit people where you are. To get to anywhere worthwhile, you need to launch out for somewhere or you will get nowhere. It has been said that you can’t know what you can do until you try. The most important thing about to, recruit like a boss is starting right where you are. You just have to get started. 4. Be value driven and build relationships: The MLM top leaders I have known are value driven people, always looking at a way to add to other people’s lives, they are positive energy givers. They hardly take but gives regularly. You must have the mind to use your business to help others. I, as a person started getting the needed success in my business when I changed my mind from recruiting to helping others and it paid off and so it will pay off for you if only you can change your mindset to helping others and also, network marketing is about relationships. Period. In network marketing, ‘throw enough mud (i.e., people) against the wall and see what sticks’ simply doesn’t work. Network marketing is about you to work with others to help them realize their dreams and about those people partnering with more other people to help them realize their dreams, and so on. 5. 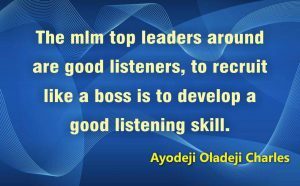 Be a good listener: The MLM top leaders around are good listeners, to recruit like a boss is to develop a good listening skills. Listen to what others say, and to what they do not say. Listen to what is important to that person and what’s missing in his or her life. Listen to how best your product or service can bring a change to his life. Listen to what it’s like to walk a mile in the other person’s moccasins. Listen and look for the opportunity to provide something of value to that person. To make a positive lasting difference in his life. Listening is a big skill you need to master in other to be able to recruit like a boss. Listen to yourself and to how others are listening to you. Listening is necessary to recruit like a boss. 6. 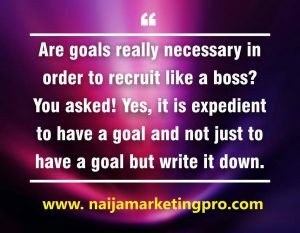 Set a goal and work hard with the goals set: Are goals really necessary in order to recruit like a boss? You asked! Yes, it is expedient to have a goal and not just to have a goal but write it down. When you keep a vision in your mind, it is not really a goal: it’s nothing more than a dream. There’s power in putting that goals into paper. When you commit something to writing, commitment naturally will set in to its achievement. How can you hit a target you don’t even have? Let me ask you this: Do you have your goals written down? Have you answered the question of why you want to reach that particular goal? Have you determined the benefits you will enjoy by reaching the goal? Have you identified the obstacles you must overcome in order to get there? Do you have a target market? Have you explored what you need to know like this post, before you could reach this destination? Have you developed a specific plan of action to make it happen? Finally, have you set a realistic date for the accomplishments of this particular goal or objective? Until you answer these questions, you really do not have even a goal, much less a goals program. I learnt this goal setting and getting from Zig Zigglar. – Be organized : Without organization hard work is only partially effective. Proper organization means to keep track of all those with whom you want to recruit. – Commitment : Without commitment you never start. Until one is committed, there is hesitancy, but with commitment, there’s no turning back. – Enthusiasm and Persistence : People always likes to be around enthusiastic people, most especially enthusiastic positive people like them. And persistence combined with the willingness to constantly look for what will work in order to succeed on how to recruit like a boss is a trait shared by all mlm top leaders. Conclusively, the most successful leaders that recruits like a boss week in week out succeed because their efforts and actions are an extension of who they are. Though, they are committed to achieving success but they are not attached to their results. They do not see themselves or any of their actions as failures even if they do not reach their goals on what they’d set. You can do this, you can recruit like a boss. Thanks for the post. It’s a rewarding piece. I love this, it’s a great tool to take my mlm to a greater level.